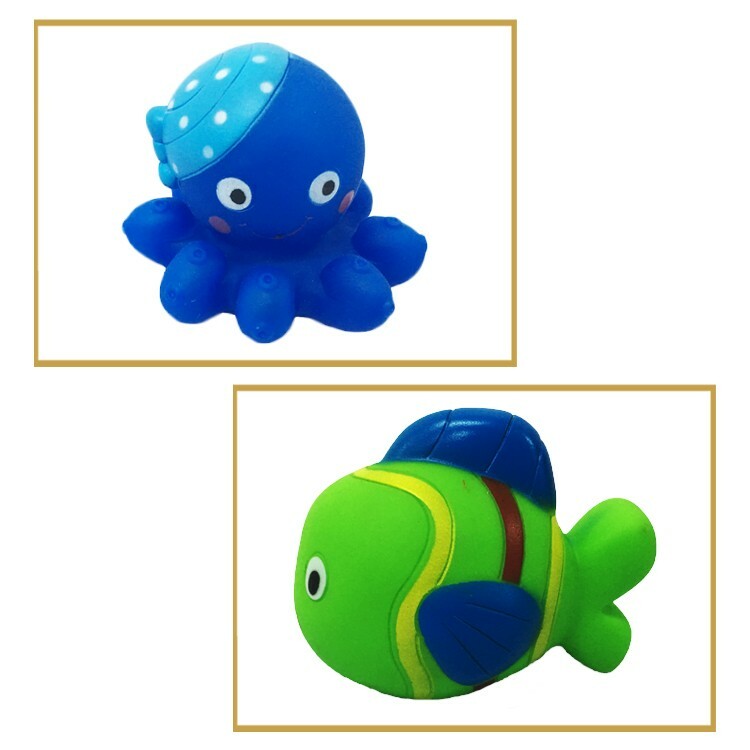 Make bath time a blast with these adorable Squirtin' Sea Buddies. 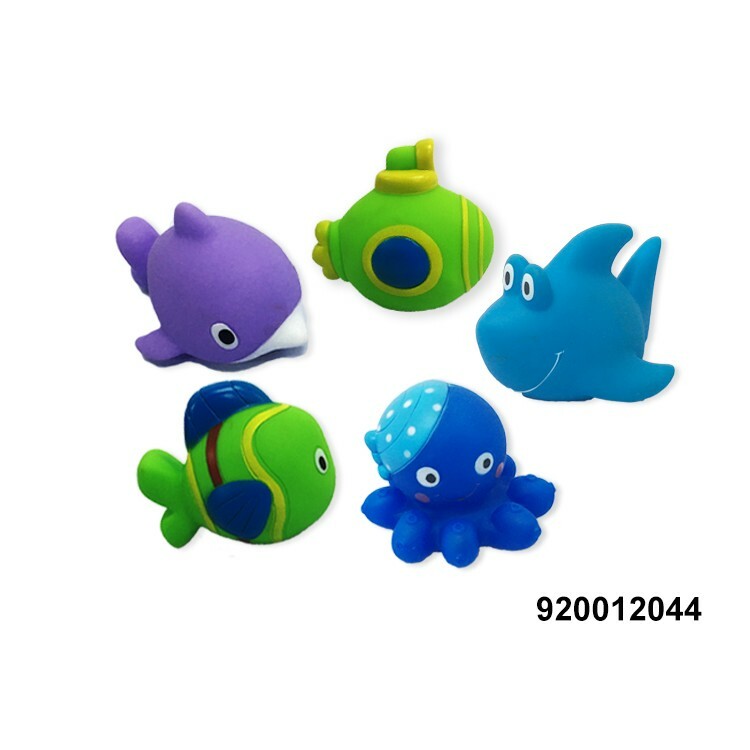 The cute sea creatures are soft and easy for baby to grasp and squeeze. 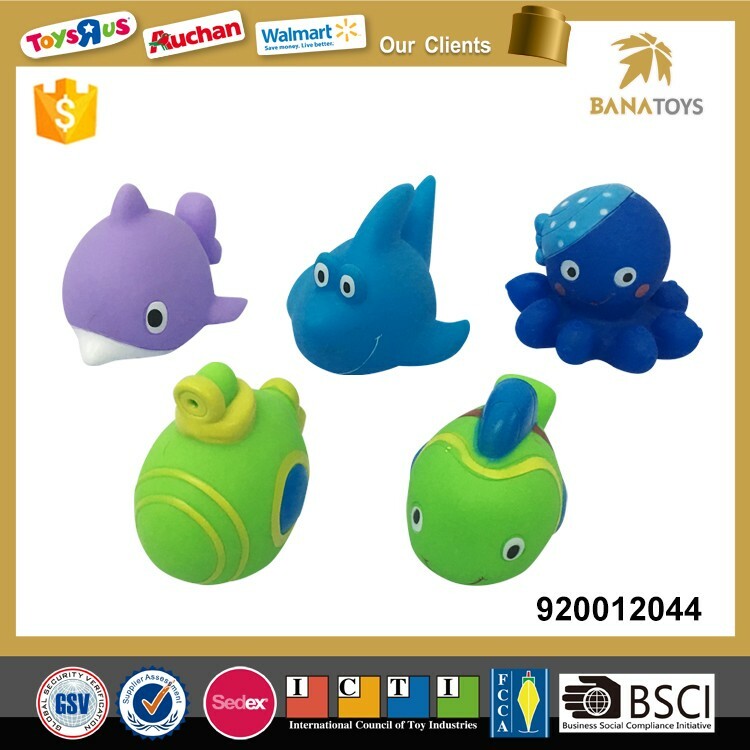 Ten water squirting sea creature toys Easy for little hands to grasp. 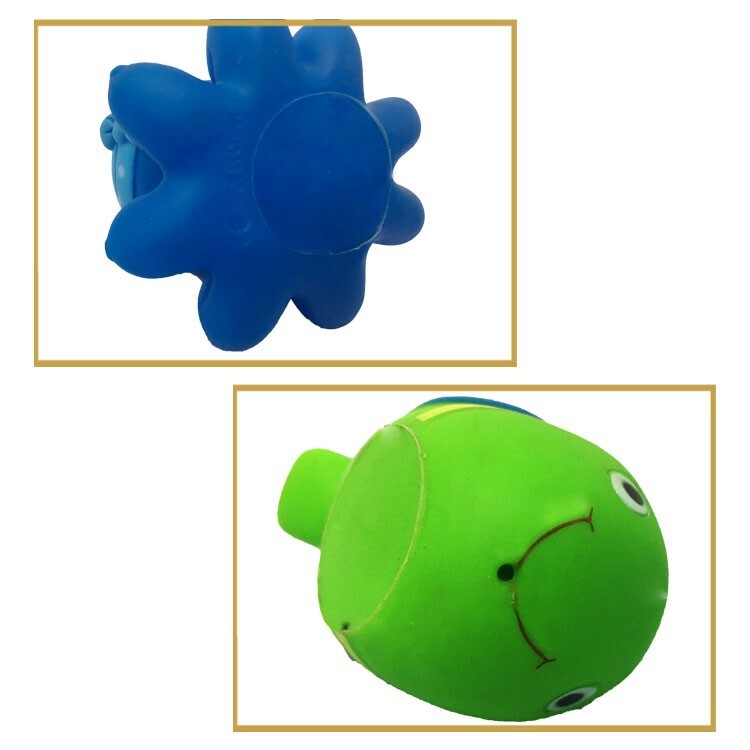 Taking a bath isn't just about getting clean - make bathtime an enjoyable experience your little one will look forward to with floating critters, water-squirting fish and more!